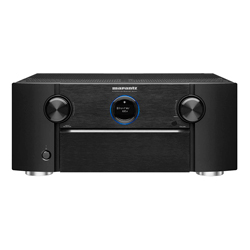 Marantz SR7011 supports 9.2 surround sound setup and 11.2 processing. The Audyssey software will tweak speakers automatically it also can control subwoofers separately. The application for iOS, Android and Kindle are can control the device and access many useful functions. Due to supporting 4K HDMI at 60Hz, Marantz SR7011 assures a high-quality video output. Built-in codecs support DTS:X, Audyssey, HDAM technology, etc. It also supports wireless connection interfaces, like dual-band Wi-Fi which guarantees stable connection. The HEOS module lets you use different network audio streaming services, like Pandora, Spotify, etc. The LCD display has all information you need. At the same time, it does not distract you. Works with Alexa voice control (the device sold separately). The total power output is enough to set up several zones. It saves the volume settings for different channels. The output sound is clear. Good cooling helps avoid overheating. Works with modern devices, like Apple TV, Mac, PS4, etc. Changing from TV to Game input (if you have a PC connected) may result in changing of resolution and repositioning your icons. Wireless HEOS speakers may have lag. You cannot toggle between different inputs via a single button on a remote control. Instead, you need to open a menu and choose the input. 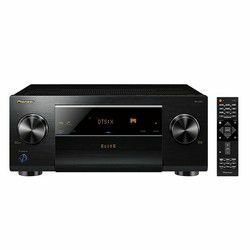 Marantz SR7012 compatible with Alexa voice control (however, you need to buy the Alexa voice device). This model supports the 9.2 surround sound system. 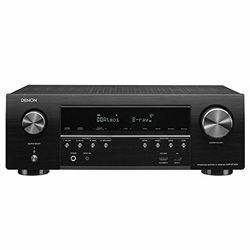 Also, this receiver supports Dolby Atmos, DTS:X, auro-3d, etc. with different sound effects. The Audyssey calibration system can do everything automatically. The powerful HEOS application lets you change music streaming options and control everything, turn on and off zones. A modern user interface that is easy to use. 8 in and 3 out HDMI ports. It does not support 4K HDR for Apple TV 4K. Sometimes it does not recognize the signals from different devices. It lacks certain features like deep color, advanced sound retriever, etc. Both models are quite alike in terms of performance and the differences are almost invisible when it comes to the comparison of Marantz SR7011 vs SR7012. 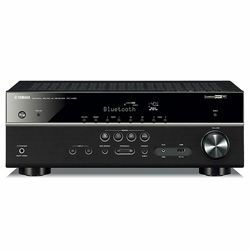 The main advantages of Marantz SR7011 are higher total output power (1100 W versus 950 W that Marantz SR7012 has) and compatibility, since it supports the Apple lossless format. The main disadvantage of this model is that it does not support three zones. 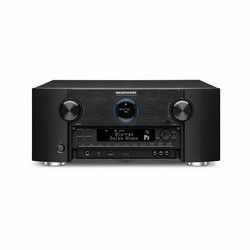 The main advantage of Marantz SR7012 is that it supports three zones while its main disadvantage is that it does not support some devices, like Apple TV 4K. When you compare two devices, which are quite close, like Marantz SR7012 vs Marantz SR7011, then pay attention to the details. 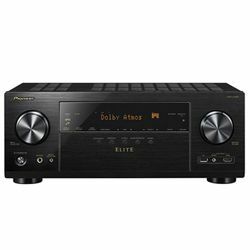 If you need more power, then Marantz SR7011 is what you need, but if you need a device that can distribute content between different zones, then Marantz SR7012 is right for you. I hope this receiver comparison will help you choose the right model when it comes to Marantz SR7012 vs SR7011.